Hungry polar bears turn to sea bird eggs in warmer climates. Shorter hunting seasons from melting polar ice leaves the polar bear scavenging on sea bird eggs; what could this change mean for their ecological community? The polar bear is perfectly adapted to living in the Arctic; with large padded feet for exploring on thin ice and snow, and a superbly insulated body that leaves it overheating if temperatures get above a cool 10 °C. It is no surprise then, that as the climate warms the fastest in the polar regions than anywhere else on the planet, and the duration and cover of ice pack is therefore diminishing, that the polar bear is struggling. The carnivorous polar bear spends most of its winter and spring upon the sea ice, using it as a platform to hunt seals and other marine mammals. The polar bear will build up fat reserves throughout the season to see it through the summer and autumn on land, where food is scarce. However, the ice is breaking up and melting earlier each year with the warming climate, and this leaves the polar bear with less time each year to hunt, and more time spent living on limited fat reserves in the ice-free season. A group of researchers from Carleton University, Ottawa, investigated the feeding habits of polar bears in the Canadian Arctic, which has seen a 2 month reduction in pack duration since just 30 years ago. In the ice free season polar bears are opportunistic predators, catching a range of animals from deer and foxes, to fish and birds. This is not a new phenomenon. However, this new study suggests that the amount of bird egg predation increases with decreasing sea ice coverage. In the absence of sea ice, polar bears are unable to hunt for their preferred seal prey, so they actively hunt out nesting colonies of sea birds such as common eider, and prey upon their eggs. The eggs provide little nutritional value compared to seal meat, but the polar bears are left with little choice with no ice platform to hunt from. Polar bears are classified as Vulnerable to extinction on the IUCN red list of threatened species. So it may appear good that these bears are resourceful in ice-free periods, supplementing their diet with sea birds. However, there are a cascade of effects that this will have on the communities of animals that they shift their attentions to. 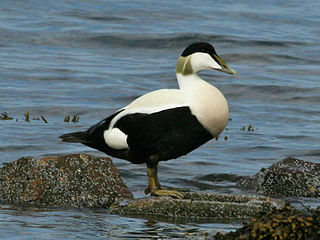 The eider duck colonies that they predated produced less offspring surviving to adulthood, impacting the ability of the colony to prosper in subsequent years. The researchers predict that the most heavily predated colonies would cease to exist in just a few generations if the predation continues unabated. Bears are likely to be the main predator of common eider on islands in the Canadian Arctic, with over a third of colonies showing signs of polar bears having disrupted nests and taken eggs and young birds. This outweighs the impact from traditional predators such as Arctic foxes and gulls, who might now be affected by the reduced amount of food available to them. The predation by bears on eider ducks has increased seven-fold since the 1970s, and will likely continue to increase as the ice continues to melt on our increasingly warming planet. 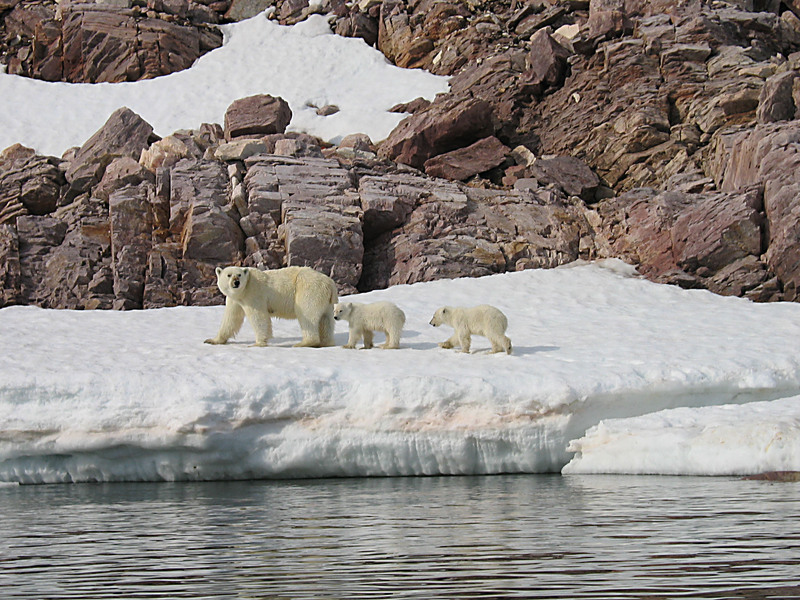 Climate change has been associated with a reduced number of polar bears, and bears are believed to be becoming in worse condition as the climate warms. Reduced sea ice means bears sometimes have to swim longer distances. Combined with reduced energy reserves this leads to many bears succumbing to exhaustion and drowning. Less snow cover means that mothers find it difficult to carve out a den in the snow to give birth in. This leaves her and her cubs vulnerable to the elements and violence from other bears. Disease causing bacteria and viruses flourish more easily in warmer climates. Previous Article‘Catastrophic’ results of climate change: the floods will not relent, causing trillions of pounds worth of damage.